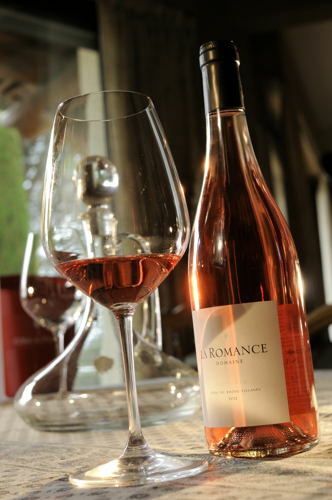 La Romance wine estate is located in the southern Côtes du Rhône in the city of Bagnols-sur-Cèze, Gard department. Bagnols is one of the five 'Côtes du Rhône Villages Chusclan' labelised cities. 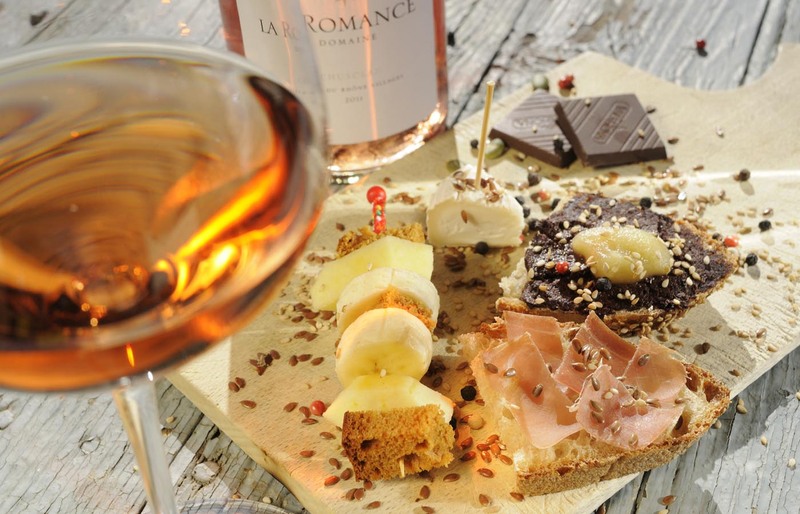 La Romance small estate is part of a larger family wine estate which exists since 1881. 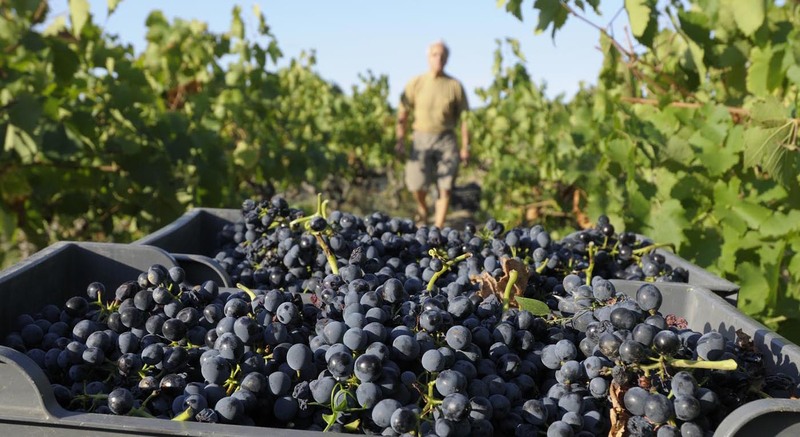 Our activity includes producing organic certified wine (Bio), offering accommodation through our two renovated traditional farmhouses and organizing wine estate visits with wine tasting, great moments named 'Les Mardis de La Romance'. 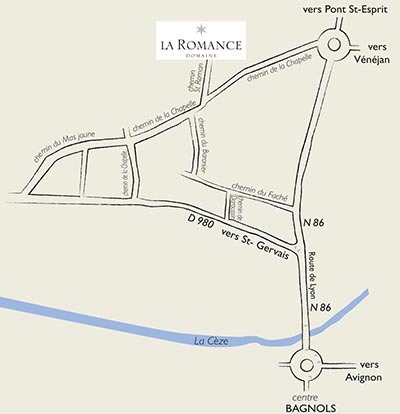 GPS N° 44°11'07' E° 4°36'47"
La Romance is for wine lovers. 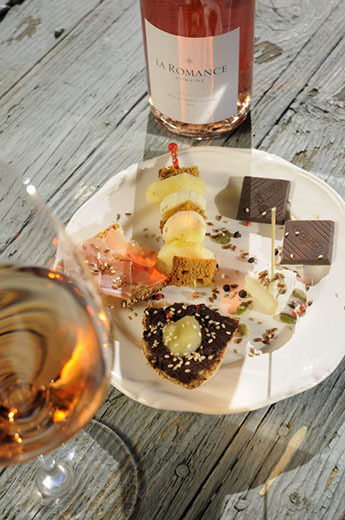 We are two wine lovers giving birth to a dream : the pleasure of making fine and graceful wines matching with our requirements, tastes and passion.